Nachi Falls in Nachikatsuura, Wakayama Prefecture, Japan, is one of the best-known waterfalls in Japan. With a drop of 133 m, it is often erroneously thought to be the country's tallest. 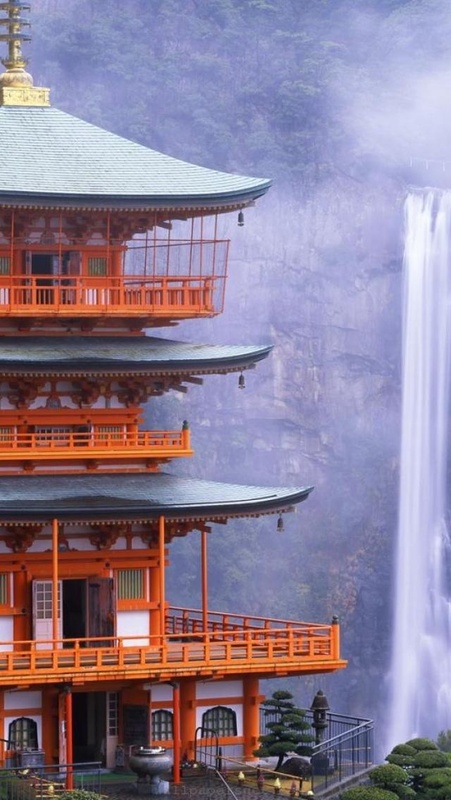 In fact, the tallest waterfall in Japan is the Hannoki Falls, at 497 m. Believed to house a kami called Hiryū Gongen worshiped at Kumano Nachi Taisha, it is part of the "Sacred Sites and Pilgrimage Routes in the Kii Mountain Range" UNESCO World Heritage Site.